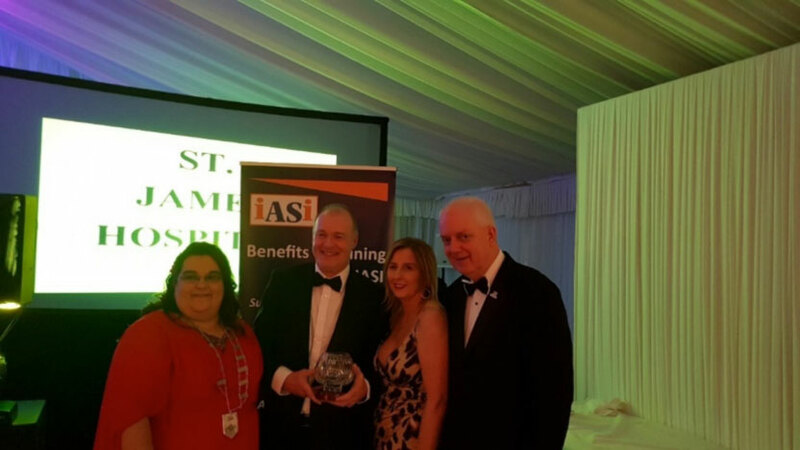 IASI Awards Overall Supreme Healthcare Winner St James Hospital & Runner up Supreme Winner University Hospital Kerry. Momentum Support are proud to report the tremendous acknowledgement received at the IASI Awards, held in the Trump International Hotel, Doonbeg, Co Clare on the 26th January 2019. 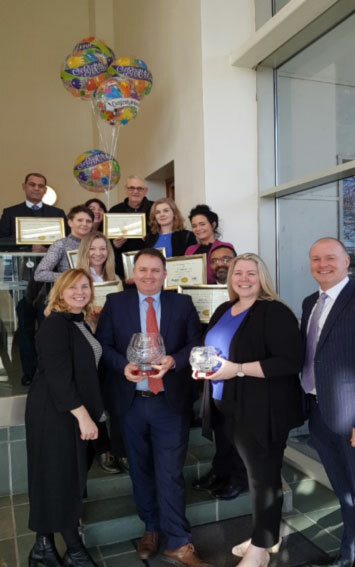 Left to Right & front to back: Sinead Grogan, Healthcare Operations Manager, Ian Hyland, Mary O’Shea Moran, David Ferguson, Operations Director, Anna Knysak, Shazad Satter, Elzibiete Przekwas, Ewa Kosser, Luara Whelan, Zahoor Ulhaq, Verona Pentony CSR & Quality Manager, Paul Whelan. We are proud to announce we were awarded eight Gold for the Healthcare Category and three Silver for the Education Category. In what can only be described as an Oscar moment for Sinead Grogan, Healthcare Operations Manager, she received the Overall Supreme Award for St James Hospital and Runner up Supreme Award for Kerry International Hospital. Amazing results, Gold all round! IASI Award Winner Belvedere College, Silver Award. Left to right: Mary Patterson, Operations Director, Jolanta Urbasiute, Account Manager and Sharon McNally, Operations Manager. Congratulations to all the Site Management, Supervisors & Operatives and all those in supporting functions. 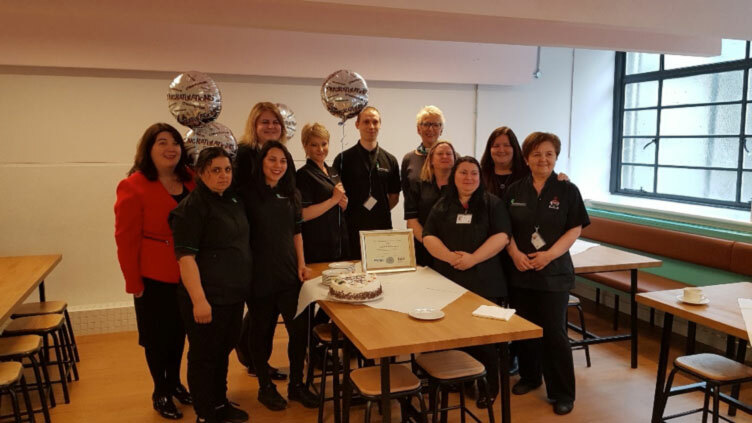 It takes a serious amount of commitment, hard work 365 days a year to deliver the high expectation of Momentum Supports Quality Standards and to achieve success at the Awards. We would like to take this opportunity to thank the Teams who supported the eleven Sites entered throughout the application process including the actual judges visit on site. IASI Award Winner Belvedere College, Silver Award. 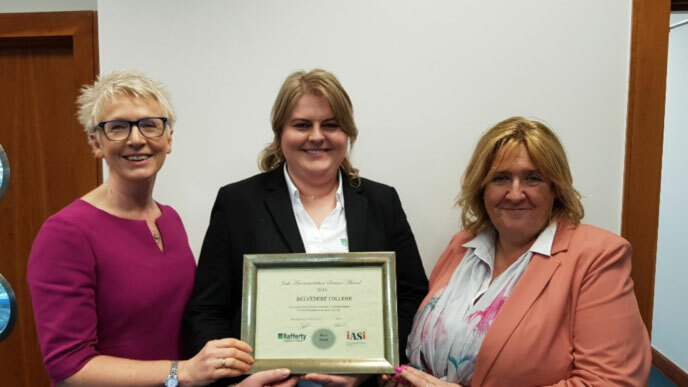 Left to Right Verona Pentony Corporate Social Responsibility & Quality Manager, Jolanta Urbasiute, Account Manager, Mary Patterson, Operations Director, Breda O Dwyer, Event & Household Manager. Mirela Gerbely, Site Superivsor, Ana Closs, Nadezda Ponotsolvnaja, Janina Strych, Simona Stan, Jane Rosa De Oliveira, Alexandrs Boikovs, Svetlana Zukauskiene, Ion Sily.